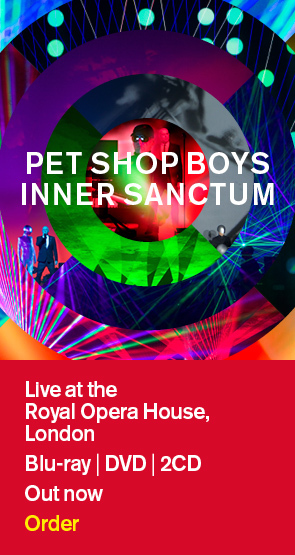 Pet Shop Boys release a limited edition seven-inch vinyl single for Record Store Day today, Saturday, April 17th. Side A features "Love life", Pet Shop Boys' hitherto unreleased 2001 recording of a song which became a hit for the Swedish group Alcazar. Side B has "A powerful friend", recorded in 2002 and never released before, which features Release tour guitarists Bic Hayes and Mark Refoy. (A proof of the single artwork is reproduced here.) The record is one of a series of limited seven-inch vinyl records Parlophone is releasing to support this year’s UK Record Store Day, including a new single by Blur and Tinie Tempah’s number one single "Pass Out". Each release is limited to 1,000 and exclusive to the independent record shops taking part. A list of participating UK stores can be found at the Record Store Day link below. Neil Tennant comments: "Independent record stores play a vital role in selling music from the fringe as well as the mainstream. We're delighted to be releasing a one-off vinyl single only available in independent shops as part of Record Store Day." Was Record Store Day a success?